It seems like the further the Saints Row series gets from reality the better it gets. The first Saints Row was mediocre, a copy of GTA infused with some great humour. The second was superb, defined by a focus on the ridiculous and the ability to evoke laughter. 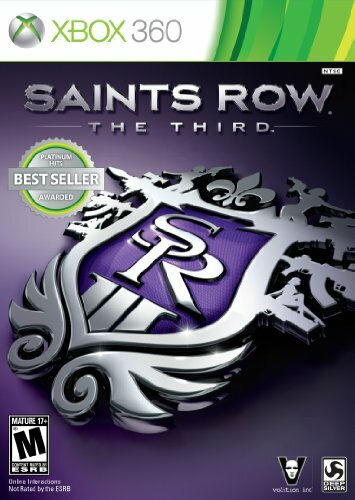 Saints Row: The Third followed in its predecessor's footsteps, finally fleshing out an identity for the series by making the game bigger and more explosive. Though the game was at some times very crass and its humour quite adolescent, it was a lot of fun to play. In Saints Row IV, Volition Inc has upped the ante once more, completely abandoning reality and allowing influences from a wide variety of games and movies to rush in. The resulting game is a wild mix of open-world action-adventure, superhero game and third-person shooter, as well as an intoxicating blend of impessive smarts and shameless stupidity. 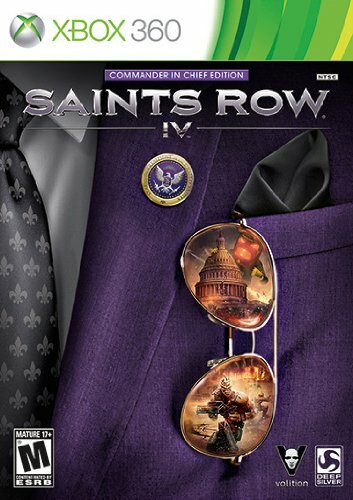 Saints Row IV begins with The Third Street Saints, led by you, destroying a nuclear missile launched against the United States by Cyrus Temple, the former commander of STAG, and his group of terrorists. With this heroic acheivement, your character unlocks the adoration of the American people; 5 years later your protagonist has been elected President of the United States, while the rest of the Saints become Cabinet members. However, the Saints presidency is soon ruined when Aliens, calling themselves the Zin, invade the Earth and attack the White House. Declaring that only a few humans will find salvation, the Zin begin abducting members of the Saints. The President fights back and manages to shoot down the ship of Emperor Zinyak, the Zin leader. The POTUS then opts to go mano y mano with Zinyak and is subdued and then imprisoned (along with the remnants of humanity) in a virtual 1950s version of Steelport. When this simulation starts glitching and the President notices something is wrong, Zinyak transfers him to a more modern, glowy neon version of Steelport. The fun truly begins when the captive President is contacted by ex-FBI agent Kinzie Kensington, who manages to hack the virtual world so as to grant them superpowers. These powers (which are upgraded throughout the game) allow the player to run faster than a jet, jump clear over buildings, throw around trucks with telekenisis, freeze enemies with elemental blasts, and send huge shockwaves through the ground. The POTUS is now free to begin taking over the simulation while trying to rescue the remaining Saints. The Matrix-like setting provides a world where the player is free to cause as much carnage as he likes. This carnage is more spectacular and choatic than ever before due to the player's superpowers and to a large array of devastating alien weaponry, such as black hole guns. Saints Row IV basically allows you to play god while giggling at the inanity of killing armies with nothing more than a tentacle. There are some truly brilliant touches throughout, including hilarious parodies of the Metal Gear Solid, Splinter Cell and Mass Effect series (there are Mass Effect-style romance options available for every character) as well as fourth-wall shattering jokes. Once again the game's character creation is perfect, enabling the usual bizarre combinations of movie star styles, period fashions, and depravity, as well as a choice of voices that covers British east-end thug and the preeminent Nolan North. Having the voice of Uncharted’s Nathan Drake swear is naturally funny, and playing the right cheesy 90s hit at the climactic moment smacks of perfection. If nothing else, Volition Inc knows its way around a soundtrack. At one point, the protagonist is trying to get radio on a stolen spaceship. As Kinzie begins to explain why that probably won't work, the radio springs to life, playing Haddaway’s "What is Love". Of course the game does have a tendency to be painfully juvenile, repetitive, and overly easy. Running around killing people and bosses that are no match for you whatsoever does eventually get old. Though there are some diversifying side activities, most are also not very challenging. Boring activites like buying ammo and missions focused on gunplay interrupt the flow of action. The game also has the annoying tendency to lock out your superpowers for a variety of reasons, like the fact that you're driving a car. In addition, some of Saints Row’s biggest issues still remain. The urban setting and population is far less distinctive or believable as the ones found in other open-world games, with little atmosphere. Saints Row IV’s engine also seems to have improved little since that of Saints Row: The Third, which was already dated. With its washy textures, overplayed, red-heavy lighting and weak effects, the visuals are a long way behind games like Assassin’s Creed 3 or Sleeping Dogs. Now, graphics aren’t everything, and a game that plays well is always better than one that just looks good, but only to a certain point. Overall we can ignore Saints Row IV's various technical and gameplay faults because the game is too much fun to truly dislike. Volition Inc worked hard to deliver a huge load of stupid gags, shameless parody and powerful mayhem. The end product is quite possibly the funniest game we will see this year, at the very least it is impossible to deny that Saints Row IV is the first game in the series that is actually as entertaining as it thinks it is; it deserves all the attention it can possibly get. Also, I highly recommend that you wait through to the end of the credits reel.